Edgewater, FL, January 17, 2019 --(PR.com)-- SŌLACE Boats announces today the launch of a new boat line, by visionary Stephen Dougherty, to be introduced in early 2019. SŌLACE Boats will be manufactured in Edgewater, Florida in a 200,000 square foot factory on 16 acres. This new brand of fishing boats will provide a comfortable, family-friendly, fishing and diving boat, offering customers patented technologies that combine luxury with adventure. “All of my life I have been committed to the marine industry, creating new designs and exceeding customer expectations by designing a product to meet their undiscovered desires. The time has come for us to make the next great and generational step in marine design,” said Stephen Dougherty. SŌLACE sees an opportunity to offer customers something different. “We are going to be revealing something incredible very soon. A distinct series of features will provide the perfect next step for the fisherman and the family,” said Sarah Dougherty. SŌLACE was founded on innovation, community, and an unending pursuit of excellence. The SŌLACE team is passionate about designing boats that reflect our drive for excellence, and our commitment to the ultimate on-water experience. It all started at a very young age for Stephen Dougherty as he experienced total immersion in the ultimate boatbuilding insights. Since then, Stephen Dougherty and his wife Sarah have launched and scaled multiple successful businesses. SŌLACE is the culmination of Stephen’s life’s work, and the business acumen of Sarah. The ultimate design backed by the ultimate company SŌLACE Boats will be manufactured at the Dougherty’s 200,000 square foot factory on 16 acres located in Edgewater, FL. 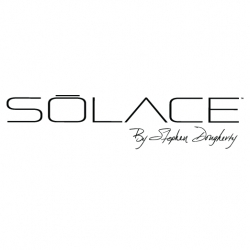 SŌLACE is looking to build a global brand and maintain an international footprint for support anywhere around the globe.